What if John, the last living apostle of Jesus Christ, was still alive and well…and living in Seattle? In A.D. 100 the century old John is on his deathbed when he is restored to the body of his youth and sent on a mission with a warning: to never reveal his true identity. He ends up on a small Greek isle where he faces an attempted assassination, a run-in with the Roman authorities, and develops a relationship with the daughter of the village leader. Fast-forward to modern day Seattle, where John leads a foundation dedicated to bringing clean water to third world nations. A new television series brings attention to ancient legends about the true fate of John the apostle and threatens to reveal the truth of his identity. John struggles to keep his secret as he grows close to Nicole, a young women he recruits to lead his organization. For two thousand years, John has wandered the earth while hiding his true identity. But now, both friends and foes are on the verge of discovering who he truly is?an event that will trigger the end times. Can John divert those who would discover his secret, or will curious friends and suspicious enemies spark the apocalypse? The Last Apostle is the first in the series of novels on the life of John over the last two millennia. Want to read the first five chapters of the novel for free? Sign up for my email list and you’ll be directed to a link where you can download the first five chapters. I never share my subscriber list and you can unsubscribe at any time. 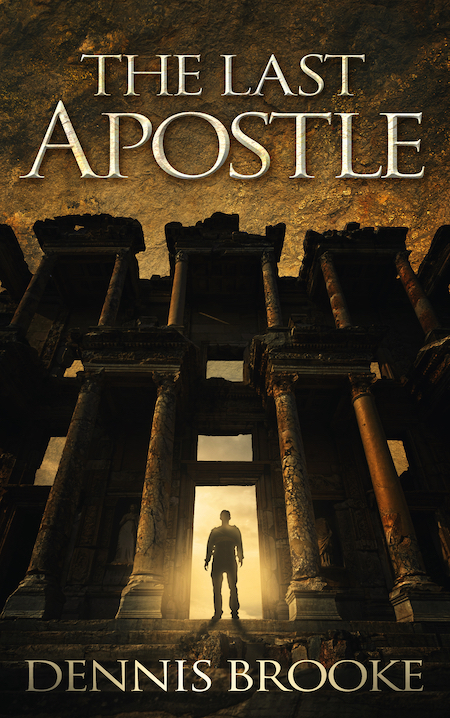 The Last Apostle is now available in paperback, Kindle, and audio versions. Find it on Amazon.com, at many Puget Sound area Barnes & Noble stores, and several independent bookstores. Sign up for my email list or join The Last Apostle Facebook group for contests, trivia, and more. I’ll be sharing secrets about scenes, locations, and characters, and legends about the apostle John. 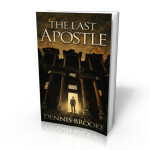 You’ll have a chance to ask me questions and travel deeper into the world of The Last Apostle. I’d love to have you join in the fun! See the latest information on book talks, signings, and other appearances at the bottom of my home page. Good stories often begin with a “what if.” For example, what if an English orphan found out that he was from a family of wizards and was being sent off to wizarding school? That “what if” spawned the Harry Potter series. Or, what if in the future children were forced to fight to the death for the entertainment of the state on a cruel, orchestrated reality TV show–until a young woman sparked a rebellion. From that came The Hunger Games. The gospel goes on to explain that rumors started that John would remain alive until Jesus returned. It also explains that’s not what he really meant. But when I heard that passage in the gospel I always wondered, what if that’s exactly what he meant—that John would remain alive until Jesus returned. I wondered, what would he have been doing over the last two thousand years? How could he have influenced history? What interesting skills would a two thousand year old man have picked up? And why would he have kept his identity a secret? When I started researching the life of John I learned about interesting legends and facts that fit right into a story like this. The result of this is the novel, The Last Apostle. I hope you’ll enjoy it.